Costs: EUR 1475 (excluding VAT). The registration fee covers workshop attendance, training documents and certificate, sustainable coffee breaks and buffet lunches. 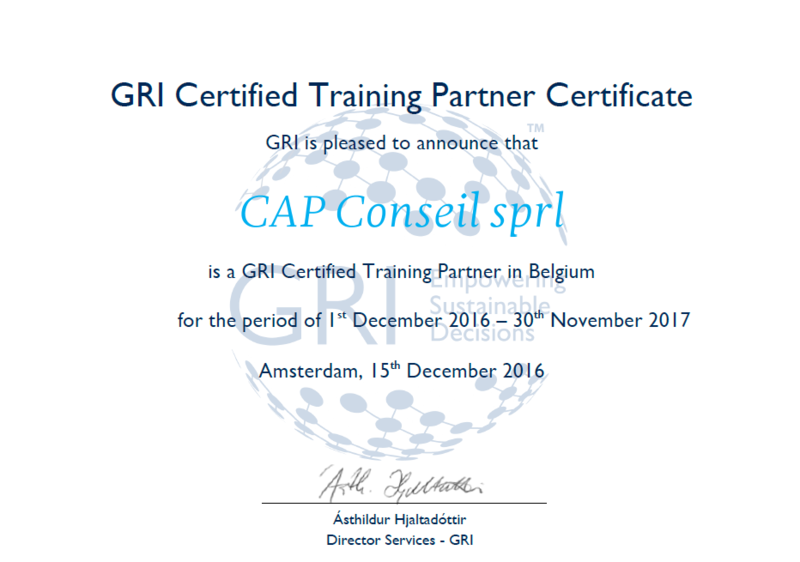 CAP conseil provides an interactive training session to learn how to develop and align your reporting strategy with the GRI Standards. 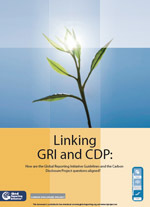 The training session offers a detailed approach on the GRI reporting process, with exercises, tools and concrete cases. Materiality, stakeholder management and indicator protocols will be at the heart of the discussion. 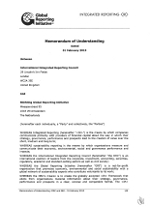 The integrated reporting concept will also be discussed. This course helps participants to understand and coordinate the GRI sustainability reporting process. Running for a minimum of 16 hours, it is suitable for all organizations that want to learn more about GRI and sustainability reporting.